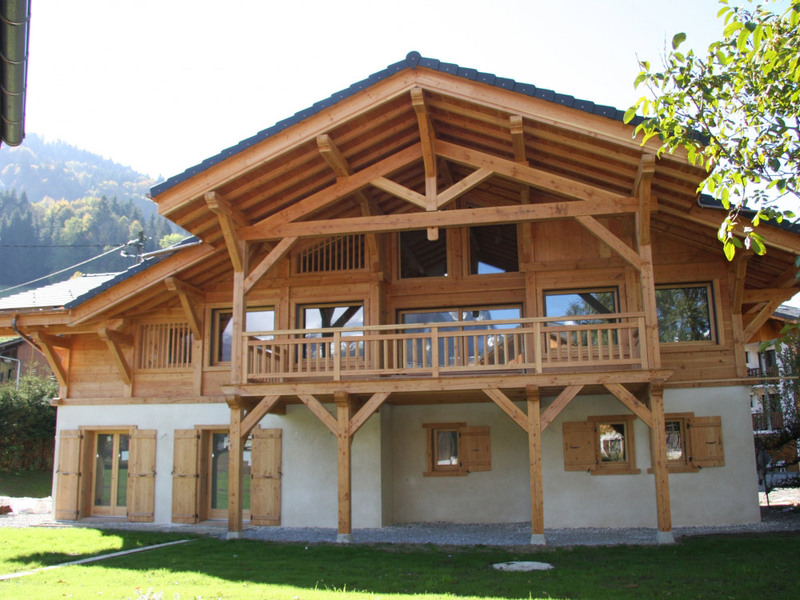 A fantastic luxury chalet in an ideal location in the beautiful hamlet of Vercland, above Samoens. It's as close as you can get to ski-in/ski-out in Samoens! Designed and built for the 2014/15 season, the luxurious & beautiful Chalet ALLURE. The chalet offers 5 luxury en-suite bedrooms & can accommodate up to 11 guests in perfect comfort. The chalet merges a traditional design & style with the most modern facilities & conveniences including underfloor heating & WIFI. The entrance to the chalet is located on this level. A ski / boot room is conveniently located next to the entrance with its own access for when you return from your day on the slopes. The ski/boot room is equipped with ski rack and heated boot warmers ensuring your boots are dry for the following morning. The ground floor consists of 4 elegantly decorated ensuite double / twin bedrooms, 3 of which have French doors leading out onto the lower terrace giving direct access to the large cedar hot tub. The beds have been carefully selected to provide maximum comfort and can be made up as extra-kings or singles to suit the mix of the group. Bedding is luxurious Egyptian cotton and duvets are sumptuous goose feather with both goose feather and synthetic pillows to guarantee you a great nights sleep. Synthetic duvets are available on request for allergy sufferers. Each ensuite is modern and stylish and either has a shower or a bath with shower over. All ensuites are equipped with soft towels, heated towel rails, a hairdryer and luxury toiletries. The Ground Floor houses a laundry room with washing machine and dryer for use by guests should they need to wash anything during their stay. The top floor is dominated by the large open-plan lounge dining area with vaulted ceiling, comfy leather sofas and large wood burning stove. Sliding doors lead out onto a spacious balcony offering an opportunity to sit with a glass of wine and enjoy the magnificent views over the Criou and Mont Buet mountain peaks. A fifth bedroom is located on this floor with stylish ensuite, underfloor heating and large picture windows looking out over the Bourgeoise and Criou. This floor also houses a second lounge with large flat screen TV and DVD player, perfect for adults and kids alike to enjoy a movie or watch the footage from the day's ski-ing. A large open plan kitchen is on this level and is used by the chalet chef during the winter months to prepare the breakfast and evening meals for guests but is available for guest use outside of the winter season. 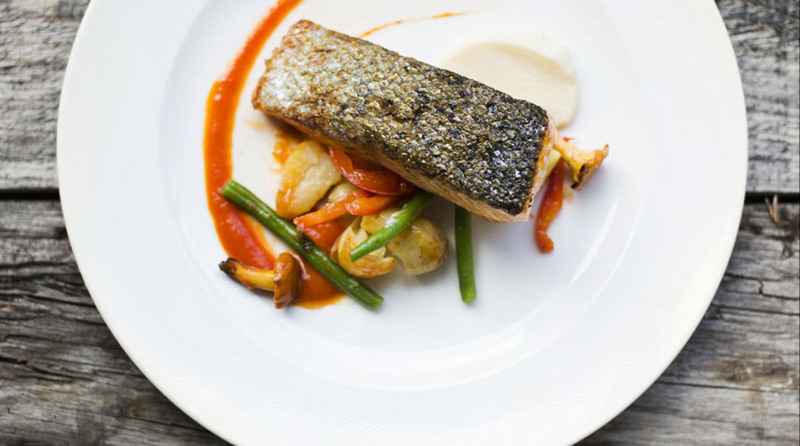 A passion for high quality cuisine is a key ingredient at Chalet Allure. The owners, Rob & Vicky, pride themselves on the quality and variety of their food offering and are continually experimenting to ensure your taste buds are always delighted and challenged. They will indulge your senses with the aromas of freshly baked cakes and the culinary delights of carefully cooked, gourmet evening meals complemented by a choice of red and white fine wines. Chalet ALLURE is personally managed by the owners, Rob and Vicky. The name of the company, APASSION, is synonymous with the approach that they have taken in establishing their chalets, Chalet APASSION and Chalet ALLURE and with the service that you will experience during your stay. The focus is on delivering a personalised service complemented by fantastic food all set in the luxurious surroundings of the chalet. Chalet ALLURE has a fabulous location, just 150m from the Saix bubble in Vercland taking you straight up to Samoens 1600m. At the end of the day you can ski right back to the bottom of that bubble where the newly renovated La Reposette restaurant and bar awaits you for some much needed apres-ski. It’s as close as you can get to ski-in/ski-out in Samoens! Samoens forms part of the Grand Massif ski region that with two hundred and sixty five kilometers of piste is France’s fourth largest ski domain. Samoëns, located in the Haute-Savoie region of the French Alps, is just a one-hour drive from Geneva. It is an accessible yet unspoiled, authentic and pretty mountain village set in the heart of the Giffre Valley, offering panoramic views of the Mont Blanc range. Samoëns forms part of the Grand Massif, which with 265km of piste is the fourth largest ski region in France. With abundant snowfall and a long ski season, there is much to challenge the experienced skier as well as excellent provision for the novice and for children. The chalet is in a fabulous location just 150m from the Saix bubble in the hamlet of Vercland, whisking you up into the heart of the Grand Massif ski area in less than 10 minutes. The summer months offer easy access to over 900km of hiking routes, favourite stretches of the Tour de France, mountain biking, and numerous other adrenaline filled activities including white water rafting and paragliding (parapenting) plus more leisurely pursuits such as golf, fishing or pony trekking.